Are you looking for commercial EPCs in Grimsby? 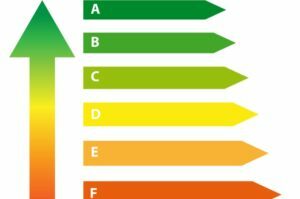 According to the law all over the United Kingdom, before any commercial property that is put on the market -either for sale or to let out- it must first have an Energy Performance Certificate or EPC. What’s more, the EPC must be commissioned at least 7 full business days before the commercial property is listed. Once it is listed on the market, there is a further tolerance period of 21 days for the commercial property owner to acquire the EPC after which they are subject to fines. When it comes to commercial EPCs in Grimsby, we are the company that can help you secure this certificate that you’ll need to provide for the buyers or tenants of your commercial property. There are different prices for different commercial EPCs, as they vary according to the size, type, and other aspects of the building. We take all of the guesswork out of the Non Domestic EPC Grimsby process, assuring that you get the right certificate at the right price. This way you won’t be subject to fines or any legal liability down the road. At Central England EPC, we offer a free initial consultation to any commercial property owner that needs this certificate to sell or rent their property. Within 48 hours of you getting touch with us, we will be out at your property to count a full survey in order to determine the exact EPC that you need. Within another 48 hours of this first consultation you and/or your property agent or lawyer will receive a copy of the EPC by email. Rest assured that at this point, the process for obtaining your EPC is underway, and you can place the property for sale or to let after a period of 7 business days. Within a month you will have the EPC that is required for the property. This is the non domestic EPC Grimsby businesses need to operate legally, and these include shops, restaurants, factories, auto mechanics, care homes, and more. There are different EPCs for different businesses and buildings, and we can find the exact one that you need. Again, the EPC is a necessary part of legally marketing a commercial property, and the fines for not having this Energy Performance Certificate can range from 500 to as much as 5,000 pounds. The severity of the fine is based on the building’s rateable value. What’s more, the responsible party is not the buyer or tenant, but the property owner. In addition to working with property owners, we also consult with anyone buying or renting a commercial space that wants to know if the building has the proper EPC.